That amazing feeling of stepping out of your bed and having a cup of coffee sitting pretty in the breakfast tray with some egg and croissants to savor. What about that post lunch cappuccino that relaxes your senses during a tiring day at work? Yes, we all love that, don’t we? Coffee for many of us is not only a beverage but also a friend that comes to our relief when we need it most. Over the years, we have a number of brands who have come up with their coffee stores or as some say coffeehouses. We often argue about which coffeehouse is the best? The question being is there a coffeehouse that is actually the best or it just comes down to personal preferences. In this post we talk about 7 different coffeehouses that I recently visited and what I think about each one of them. Which one of them will be crowned as the best? Let’s find out! Whenever one enters Caribou, you get the feeling of an old cottage. It feels like a cozy place, which you can call home. It’s a place where you sit all day long sipping from your cup. The coffee is decent and the smoothies are good. Answer the Trivia question for the day and get a buck off. Yes, they do have some delicious sandwiches that you might want to dig into. Costa gives a different feel altogether. It looks like one of those more sophisticated coffeehouses where working men or women would drop by to have a quick cup of coffee. It could also be a good place for short one-on-one business meetings. 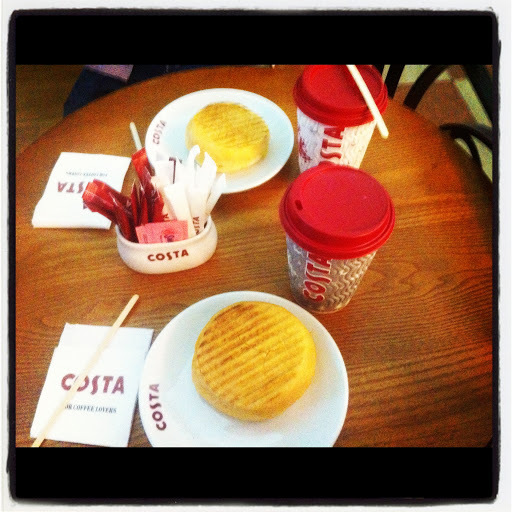 I would prefer to grab my breakfast along with some coffee from Costa while hitting the office. Dome is nothing but an Australian version of Costa. It might not be as big as Costa but the feel is the same. The ambience is as sophisticated as in Costa. However the menu options available apart from coffee are vast. It wouldn’t be wrong to state that Dome actually has the widest range of options available as compared to other coffee houses. It is a place where you would like to spend a couple of hours munching something, while having a coffee by the side. Some would argue Gloria Jeans is from USA, while the others would say Australia. It did originate in USA but is an Australian owned coffeehouse. 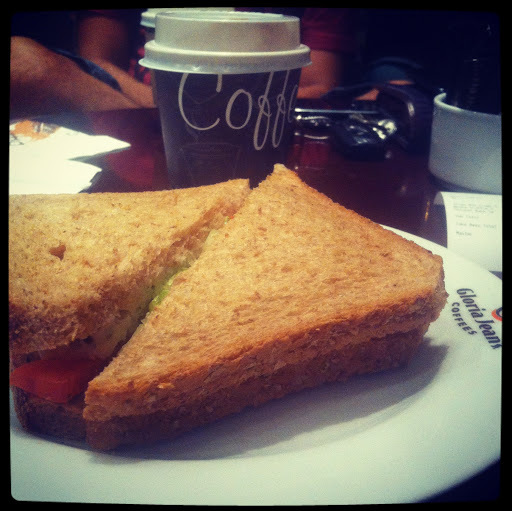 The ambience at Gloria Jeans café is a mix; a mix of the homely feel and the sophisticated one. Personally I prefer the feel since it allows me to visit the place with friends or with an office colleague for a meeting. Additionally I like the sandwiches at GJC. In short, out of the lot, GJC is my favourite. Who doesn’t know about Starbucks? The biggest coffeehouse chain in the world, Starbucks operates like no other. Visit a neighbourhood and you shall find plenty of stores. It’s more like “we are there for you”. Once you walk into a Starbucks, you tend to get a friendly feel. 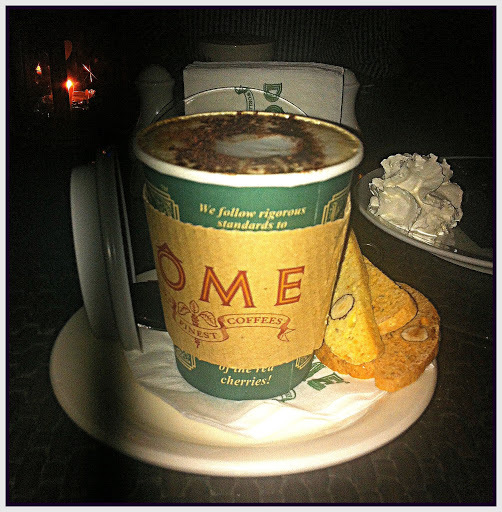 The coffee is good and the ambience friendly and comforting. 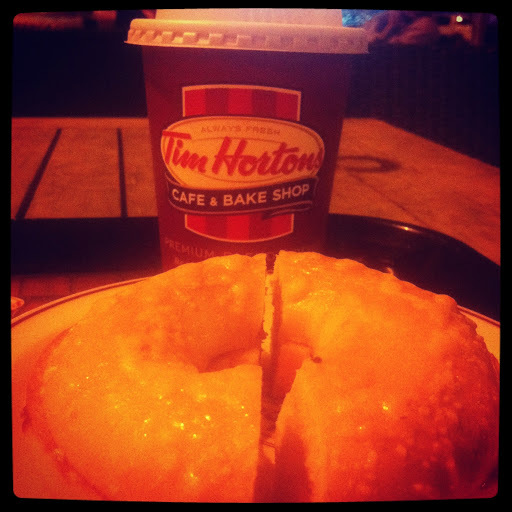 Referrred to as ‘Timmies’ by fans, Tim Hortons is a recent addition to the coffeehouses in the country. Timmies offers more food options to its customers as compared to other coffeehouses. Bagels, Timbits, Panini, Sandwiches etc. are some of the items Timmies has to offer. The ambience of Tim is more relaxed and the coffee a few bucks cheaper. Ever felt like you are at Starbucks, when you are actually at SBC? The reason is quite clear; SBC is a wholly owned subsidiary of Starbucks. The feel is the same, the coffee might taste a bit different but the difference isn’t a huge one. However, I would prefer to grab a bite from SBC. It is one of those places where you would like to spend a good time with friends. What this coffee spree of mine taught me is that there is no one coffeehouse that stands out from the rest. One does have this inclination to a certain brand of coffee, for me it has always been Gloria Jeans. However the reason is not coffee, the reason is the ambience and the settings in which I feel more comfortable. If someone else were to write the same post, their choice would be maybe Costa or say Starbucks, and I would not say that their choice is incorrect. All these coffeehouses have brilliant coffee and good snacks to dig into. At the end of the day, it comes down to every individual or group and their preferences. So which coffee would you like to have? Now I have 2 recommendations for RAW. I need to try it ASAP :). I vouch for RAW too! Easily the best coffee in the UAE for obvious reasons, it sources fair trade & organic beans from various places, RAW roasts and grinds it's own beans, the staff are composed of barista's who actively compete in global barista competitions and to top it all off they are genuinely friendly. Start off with a cappuccino and then try all the different brewing methods (aeropress, drip, cold brew, siphon, hario dripper etc). I have been a fan of Caribou since years :). 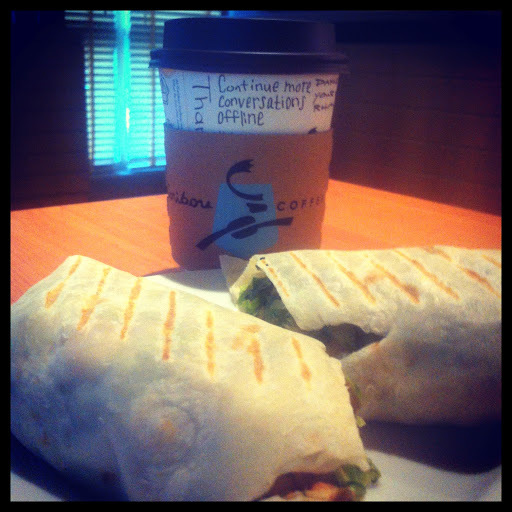 I have been to Coffee Bean and Tea Leaf a number of times, its good. Unfortunately never got the chance to try Mugg & Bean. If I do visit Abu Dhabi some day, shall try it :). I love that you have Caribou Coffee on top of you list. 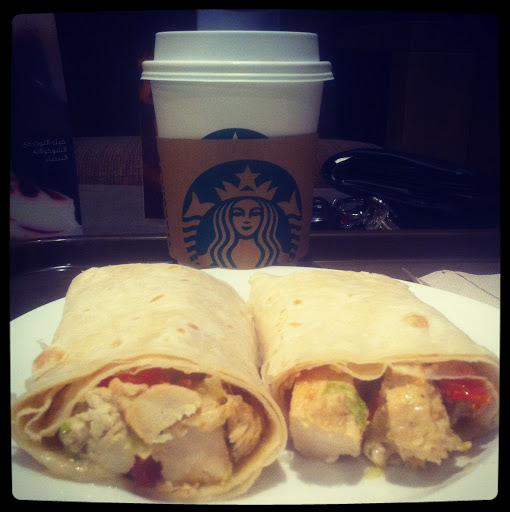 Love it along with Coffee Bean and Tea Leaf. Two of my fav. cafes. Mugg & Bean is great as well, but sadly closed in Dubai with just one location in AD. Supreme Coffee Shop in MOE is my favourite, give it a try. Ground floor ski end not far from Virgin.